Colorado School of Trades is accredited by the Accrediting Commission of Career Schools and Colleges (ACCSC). Founded in 1947, the Colorado School of Trades (CST) has offered our gunsmith training program continually since its origin. As the nation’s largest gunsmithing school, our program offers you the opportunity to learn an artisan craft older than America itself! If you are interested in a career in Gunsmithing consider this: There are an estimated 357 million guns in the United States with less than 12,000 legitimate Gunsmiths available to work on them. That equates to over 29,000 guns per Gunsmith. That shows favorable job security in a marketable career like few others! CST has developed a system based on hands-on, project oriented, customer provided training that has been honed over the last 70 years. The school prides itself on a personal approach that allows a reasonably diligent student to acquire job skills that will prepare them to enter the work force as an entry level gunsmith and begin a lifelong career in the field. In our 20,000 square foot industry simulated facility, CST can accommodate up to 160 students with new classes starting monthly. All instruction is project and customer based. Using “live work” allows for students to experience real world work situations under instructor supervision. The tuition cost for the Gunsmith program is $21,350. There are additional costs of approximately $4,000 for tools (including all necessary parts for the curriculum based bolt action rifle project) and $150 for an accident insurance policy. Total required costs to attend the Colorado School of Trades are approximately $25,500. Financial aid is available to those who qualify. For more information regarding the program and the application process contact Admissions at 303-233-4697 ext.11. Essay "Why I Chose to Become a Gunsmith"
The Basic Course is designed to teach the use of hand tools, measuring devices, safety, and shop math. Students become familiar with the concepts of stock refinishing and the bluing process. Students will attend Analytical Thinking Theory which is the preparatory class for the Written Cycle of Operations Theory. During Written Cycle of Operations students will receive instruction on the eight major types of firearms for the purpose of diagnostics and troubleshooting. The Basic Course also introduces the students to TIG welding and heat treating commonly encountered by a Gunsmith. Students will become acquainted with CST’s online learning system in which they will complete homework throughout every course in the Program. Students will become familiar with both engine lathe and milling machine operations. 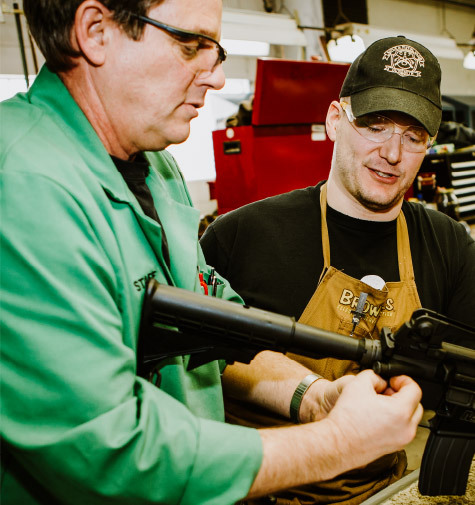 Machine shop culminates with the student threading and chambering their project rifle in an approved caliber of their choice. Students are then introduced to synthetic stocks and will fit and finish their own synthetic stock for their project rifle. Students stockmaking skills are further refined in this course beginning with the wood stock. Students will inlet, bed, shape, and finish a wood stock for their project rifle. Once completed students move to the Repairs 1 Lab which teaches the concepts, techniques and skills which will enable the student to diagnose and repair customer provided firearms. Students apply the knowledge and skills obtained in past course work to complete customer firearm repairs in the Repairs 2 Lab. Design & Function 2 is the crux of the program. If a student so chooses, they may work on some of their own firearms as approved by the instructional staff. The final portion of Design & Function 2 allows for the student to specialize in a certain aspect of the industry. Students are required to complete a specialization lab project. This is an opportunity for students to specialize in their particular area of interest. The student can choose their project as long as it is gun related, legal, safe, and school approved. The CNC Machining Lab is an option for a project completed during the specialization lab. Computer Numerically Controlled Machining is an optional lab available to students in specialization. It covers the basics of CNC machining practices on common industry-type CNC machines. Students will learn programming on both CNC mills and lathes. The objective of the course is to acquaint students with CNC practices they will be exposed to in the firearms industry. 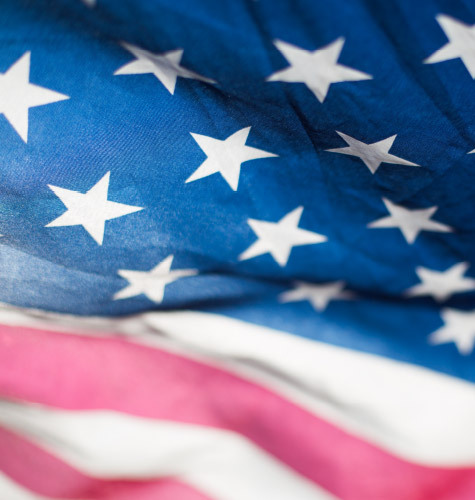 The Colorado School of Trades is approved for Veterans’ Assistance Programs including the Post-9/11 Veterans’ Educational Assistance Act of 2008. For more information regarding your specific benefits you can contact the VA Education Department at 888-442-4551. The majority of our students come from outside of the state of Colorado for training. Housing contacts within proximity can be provided by our Admissions staff. Many students share accommodations to reduce their expenditures. If you are interested in finding a roommate, CST has a system to help put prospective students in touch with one another. Education at its core extends past curriculum to encompass the community the program creates. For us, that means fostering a sense of community that extends through our student family, our community in Lakewood, through to our national Alumni network. 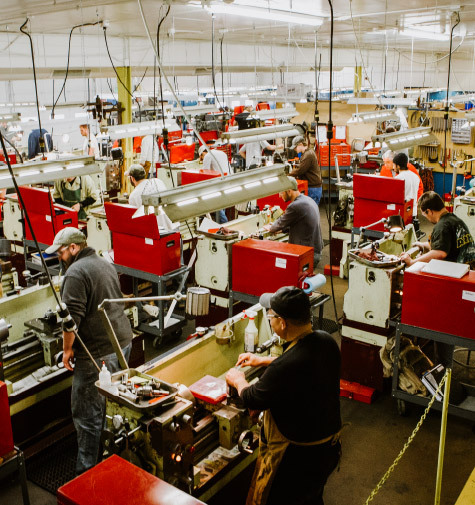 This commitment to a strong sense of community sets our graduates up for placement success and creates a life-long family of gunsmithing excellence. While in school, students will have opportunities to attend optional Armor Certification courses. Additional community building events, such as annual Thanksgiving and Christmas potlucks are hosted by CST for students and their families. The Colorado School of Trades (CST) was founded in 1947 by John J. Snyder, with its first class beginning in July of that year. During the late 1940’s and 1950’s, the school offered numerous programs but was primarily a school training students in the artisan craft of Gunsmithing. By the end of the 1950’s the school had ceased offering all programs but Gunsmithing. 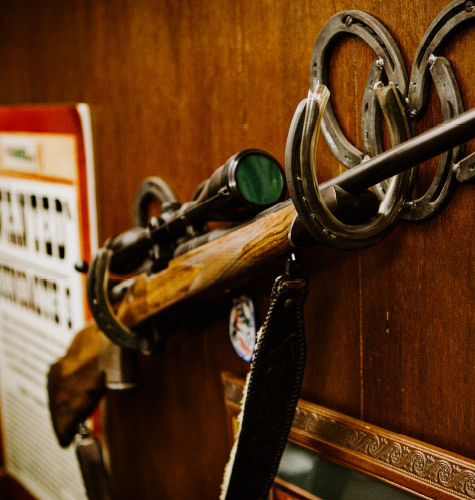 In early 1992, the school converted the Gunsmithing program from a Certificate Program to an Associate of Occupational Studies (AOS) Degree in Gunsmithing, making a rare program unique. Beginning in 1992 the school briefly offered a Farrier Science Program, but yet again in 2007 the school’s only focus returned to Gunsmithing. The school has been in the same location since the early 1970’s. CST Operated under the guidance of the Snyder family directed by both John J. Snyder and later by his son John T. Snyder until 1990, when the school was purchased from the Snyder Family Trust by Sawtooth, Inc. From 1990 to 2018 Robert E. Martin served as President of Sawtooth, Inc. With his passing in early 2018, Jean B. Martin now serves as President of Sawtooth, Inc. Mrs. Martin continues the family influenced guidance the student community has come to know over the last seven decades.